We booked a 4 nights / 5 days tour to the Pantanal with Amoro Tours. We organized everything from back home through Whatsapp. As soon as we arrived in Santa Cruz we went to the office to meet Marcos and to pay for the tour. We loved the tour. We took a slow and little bit bumpy night train to Puerto Suarez. After that we were directly picked up by car to drive us to Puerto Bush where we changed on a small motorboat in order to get to Tres Gigantes (biostation in Paraguay), where we spent 2 nights. Already on the way to Puerto Bush the nature was amazing. We saw a lot if animals. We enjoyed the days at Tres Gigantes a lot, we walked around in the area and also went canoeing. The people at the station were very friendly and we consumed awesome food from Miguel our guide and chef. After that we spent another 2 nights in a beautiful house in Santiago de Chiquitos. Remberto (our host) organized everything we needed. We went hiking and enjoyed the amazing nature. All together everything worked out well. Miguel accompanied us for the whole trip which was very nice! I arranged a 2 day 1 night tour with this company for my parents. They greatly enjoyed the trip and were impressed with the guide, Miguels ability to adapt the trip to the weather conditions. They were also impressed by the quality of the meals. Sur base des commentaires qu'on avait pu lire, j'avoue qu'on a essayé de partir via une autre agence.. Malheureusement, nous n'avions plus que 2 jours avant de quitter la Bolivie et les treks via les autres agences étaient complets. 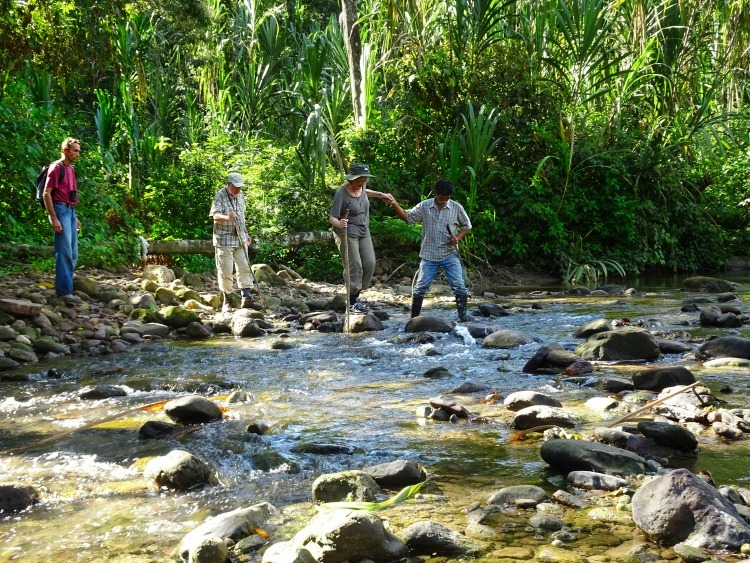 Il ne nous restait donc plus qu'Amboro Tours si nous voulions découvrir la jungle avant le départ : nous nous lançons dans cette aventure ! Nous sommes partis sans aucune attente et nous avons été très satisfaits de notre trip (2D/1N). Notre guide (Hernan) était parfaitement compétent : il fait cela depuis 30 ans ! Nous avons vu des oiseaux et 3 sortes de singes. Ce n'est pas bcp mais nous avions bien été avertis que les animaux n'étaient pas garantis. Nous nous sentions en sécurité. Pour la nuit, nous avons dormi sous tente dans un abri. Étant donné qu'il pleuvait, ce petit toit était plus que bienvenu ! Pour les repas, Hernan nous preparait a manger et c'était tout à fait bon. Les quantités étaient calculées pour qu'il n'y ait ni trop ni trop peu. La seule chose qui nous a manqué était une petite touche de sucré après le repas ou comme en-cas. Mais nous avions une tablette de chocolat avec nous qui a fait notre bonheur ! Bref, nous avons été très contents de ce trek avec Amboro Tours. Si c'était à refaire, nous n'hesiterions pas à repartir avec cette agence. Évidemment, on parle d'un trek dans la jungle donc il ne faut pas l'évaluer sur base de nos critères européens..! J'espère que vous profiterez également d'une bonne expérience ! Realmente hermoso, la naturaleza que explota!!. La primera experiencia fue por la entrada norte por Buena Vista como una pequeña introduccion. Luego visitamos la parte sur del parque ingresando por Bermejo, la estancia en el Refugio Volcanes ayudo mucho por los senderos que nos permitieron adentrarnos en el parque. Las cascadas, las orquideas, los rios, las mariposas, las aves....todo es maravilloso. 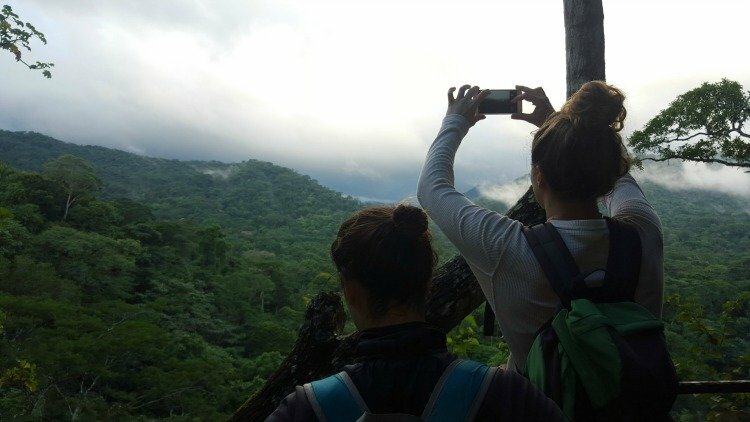 Muy recomendable para quienes tienen aun la oportunidad de vivir una experiencia con la naturaleza. We went on a tour with amboro tours to both the north and south side of amboro park for two days each. Both were amazing! 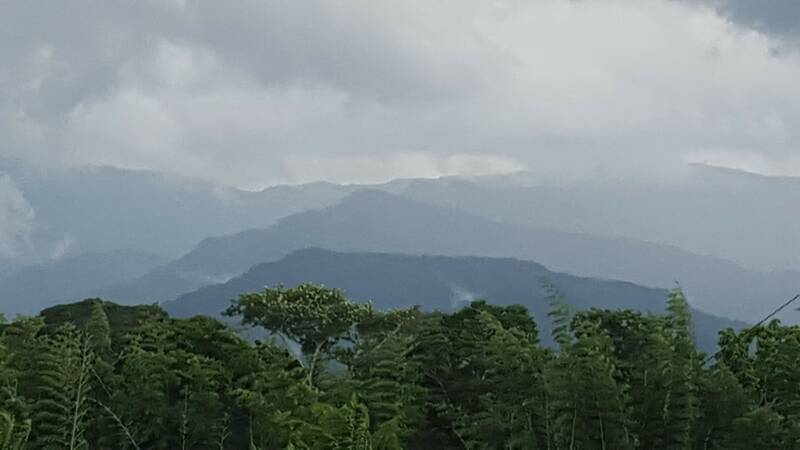 The north felt like a very secluded rainforest while the south was a luxury resort in the middle of millions of trees and animals. The food and accomodation was great at both, and we saw plenty of wildlife thanks to our guides. The advice, and answers to our many questions, we received from Marcos beforehand was extremely valuable as well. we had a great 2 day/1 night trip into amboro national park! we were only 2 and the guide which made it more or less a private tour. we like that amboro tours is doing "green tourism" and avoids garbage and other stuff. we slept in a tent under starry sky in the middle of the jungle, were swimming in ponds and were entering the park with a carriage rather than a car. All in all it was a great experience. We don't regret doing this tour but it was in our eyes a little overpriced. each one of us paid $160 (!) for a 2 day tour where you sleep in a tent - it would have been cheaper if there were more people in our group. We went to Amboro North with Amboro tours in a 2 days trip. There was a guy waiting for us at the airport. Other one at the office to put us in Buena Vista (in the day before because it was going to be a road blockage at the day of the tour). Please return from the pool by the longest trail to go to the mirador! 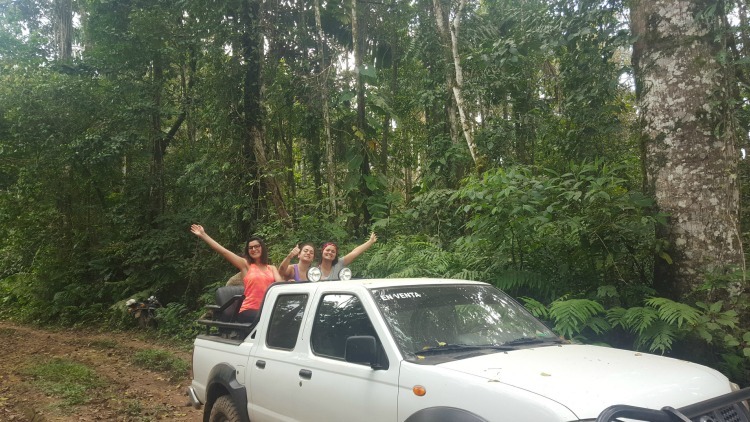 I did 2days-1night jungle tour to Amboro park with Amboro tours and it fantastic! The guide only spoke Spanish (which I was aware of prior to meeting him) but he took his time to try to help me understand what was happening. He also did a fantastic job to ensure we saw and learned about different species of plants and animals. The food they fed us was delicious and much better than some of the food I was having at some of the restaurants. The staff, form the office to the jungle, were great and helpful. It was the best part of my Bolivia trip and I HIGHLY recommend it. Originally, I was just hoping to see El Fuerte de Samaipata as it was the goal of my trip to Bolivia. Marcos from Amboro Tours recommended to visit El Refugio Los Volcanes. I couldn't be happier as El Refugio Los Volcanes turned out to be one of the most amazing places I have ever visited. I am an environmentalist, thus, hiking in the mountains and swimming in the secluded waterfalls surrounded by thousands of beautiful birds flying around was heaven to me. I felt I was the movie "Avatar" with its magic blue butterflies, fireflies, and exotic plants. As a solo female traveler, I highly recommend this tour, which was very well organized by Amboro Tours with the pick up, meals, etc. included. If you are in Santa Cruz and you want 'the amazon' experience than this park is for you. It is beautiful park and remote enough. There is a lot to experience/do from hiking to seeing monkeys. The park does not appear to receive a lot of traffic which adds to the sense of adventure. I highly recommend going with Amboro Tours if you interested in exploring the park. Amboro is not easy to access. The best way is to get a tour and stay nearby. We had Nick's Adventures take us to Refugio los Volcanes. WOW. The refugio is basic, clean and practical given how remote it is. One hair raising 4wd adventure getting there. The setting is incredible, jaw droppingly beautiful. Surrounded by cascading rivers winding through jungle all hemmed in by giant pinnacles of red sandstone. The pictures cannot captue the splendor. The guides take you on excellent trails and they feed you well. We were really short termed with our booking, so when we arrived in the Ambototours office, they couldnt offer us a tour to the northern part of the park for the next day. in the end, we booked a tour to the south, for 2 days and 1 night. we knew that our guide would speak spanish, although we unfortunately dont speak any. the best part was the accomodation itself! its very clean and you feel like home immediately.